Hydroponic gardening can take place indoors or outdoors. 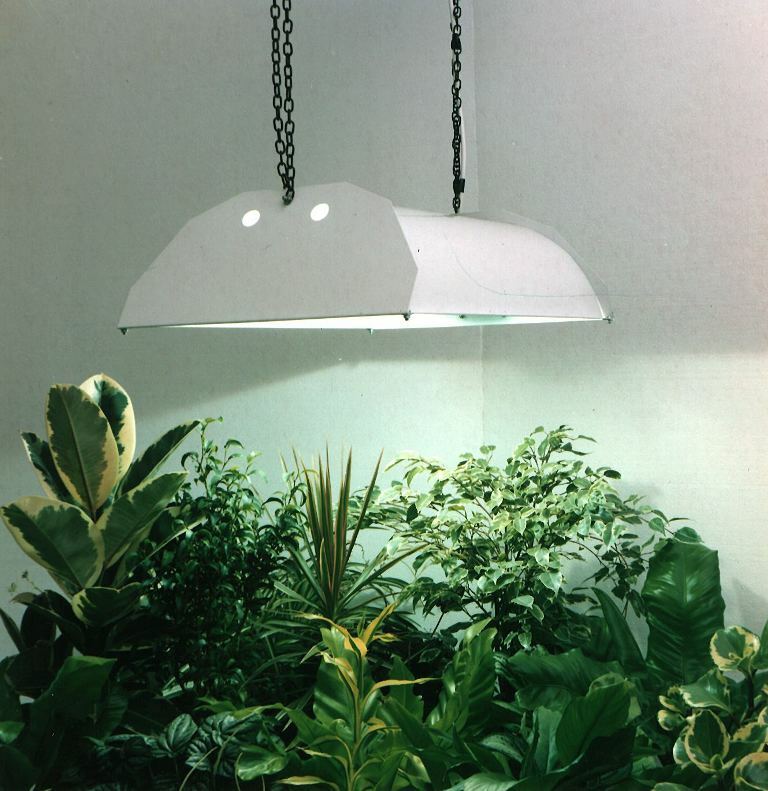 When growing plants indoors, prime growing conditions will require grow lights or artificial lighting to replace the absent sunlight. During daylight hours or lamp hours, the plant traps and stores light energy and then converts it into chemical energy. The light energy produced is determined by the color and the intensity of the light. Once the plant has stored its limit of light energy, it can no longer capture anymore and the accessed light goes to waste. Too many grow lights can be harmful to the growth of your plants. The same applies if the plant doesn’t receive the necessary amount of light. Not enough light results in the plant not having enough stored light energy or stored chemical energy to carry out its natural growth cycle. This energy is stored in the leaf tissue. Therefore, the more area of the leaf that is exposed to the light the better. Plants experience their optimal growth using high intensity lighting and is optimized when the entire light spectrum is provided. There are several different lighting options and configurations to choose from. At different stages of growth, your hydroponic vegetables’ development can benefit from using different types of lighting. For example, while veggies are maturing and developing stems and leaves, a blue light spectrum lamp such as a Metal Halide (MH), is most beneficial. Then when the vegetables begin to form, a red light spectrum such as High Pressure Sodium Lamps (HPS) lamps, are the most effective. Changing the spectrum and lighting through different stages of growth works best and at times a blend of lighting will be ideal. If you choose to use standard incandescent bulbs as your grow lights, your lighting set-up will also require cooling fans to keep the air around the plants moving and to prevent overheating. High Intensity Discharge (HID) lights create a lot of light without generating heat. Too much heat will prevent growth and healthy development of your plants so be sure to know what is required for your yield. Reflectors and ballasts will be needed to get the most energy out of your lamps. Indoor grow lighting. Image via Homemade Hydroponic Vegetables. Placing your lighting correctly is essential to support your hydroponics vegetable growth. Plants don’t benefit from lighting that is not directly on them. Seedlings like having lights hung directly over them, approximately 2-4 inches above the top of the plants. 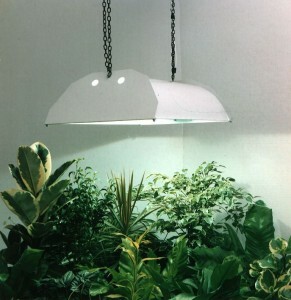 As the plants grow the lights can be adjusted and moved up to maintain their distance of 2-4 inches. It may be surprising to believe, but fewer plants result in a larger yield. When there are too many plants they become crowded and compete for the available light. The plant receiving the light will shade the other plant out which will result in every plant performing far below potential levels. 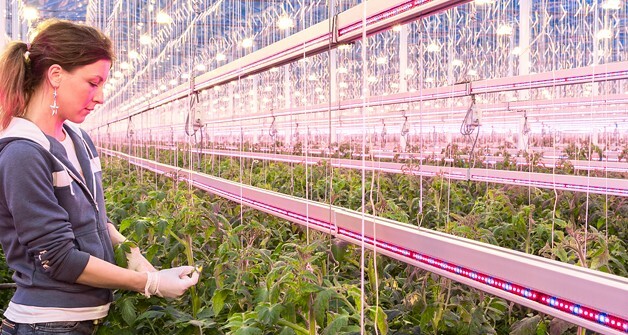 Balance the numbers of plants with light availability for best results. Start with fewer plants and then remove leaves that you see aren’t getting the desired amount of light. When you remove the leaves it reduces the photosynthetic potential. All the leaves are used to store the light energy. When it’s time to draw on that stored chemical energy, the energy needs to come from the full plant cycle. If you start with proper lighting, your crops will end in producing maximum yields and will result in a highly successful harvest. The light cycle and light time plays a factor in the health of your plants. Of course there are other environmental factors that play a part in healthy crop returns. Nutrients and temperature also play an important role in increasing optimal growing conditions. Thanks to hydroponic innovation and technology, we now have the ability to control our indoor gardening environments to yield healthy, organic produce that can feed our families. 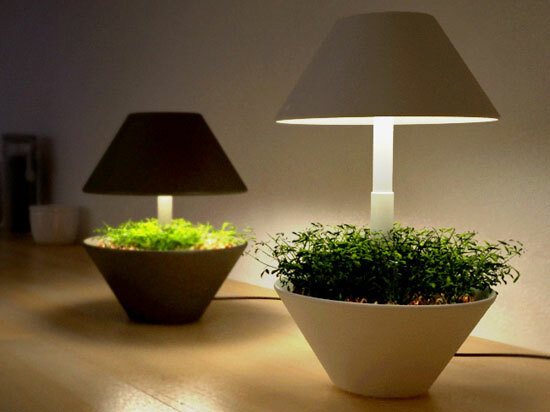 Indoor growing lamps. Image via EcoFriend.com. There are various components and lighting supplies available. For more information about lighting components, go to EYELighting.com. For more information on the future of indoor lighting visit Philips, and for a lighting chart check here.Feature Image: LED grow lights. Image via Philips.